Find out what our experts have to say about Suzuki Gixxer 250! Choose the Suzuki Gixxer 250 which fits your bill! Choose the Suzuki Gixxer 250 which fits the bill of you. The sub 300cc motorcycle segment is booming in India and Suzuki Motorcycle India is eyeing to take full advantage of the same. The company is looking to expand its Gixxer lineup in India and strengthen its position in the 200-300cc motorcycle market. Suzuki currently offers the Gixxer with a 155cc engine in the Indian market, but, is all set to launch the new Suzuki Gixxer 250. The bike is already on offer in the international market as the GSX- 250R and the naked motorcycle will soon mark its presence in the Indian market. Suzuki has planned to alter the Indian spec version, which will miss out on the twin-cylinder engine, as seen on the GSX-250R, and instead will feature a liquid-cooled, single cylinder engine. Official power figures are yet to be disclosed by Suzuki, but we expect that the 248cc motor will churn max power of 25PS at 8,000rpm and peak torque of 23.3Nm at 6,500rpm. It will feature a nose-up, tail-down design borrowed from its elder siblings, the GSX 1000R and the GSX 650R. Additional features might include inverted front forks, front and rear discs brakes and a dual-channel ABS offered as standard. 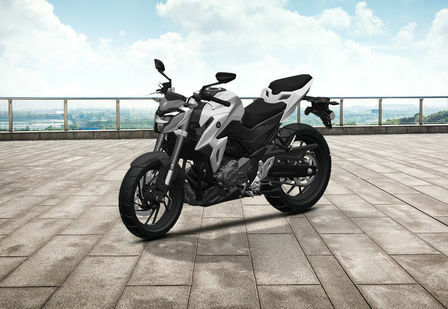 The Gixxer 250 is expected to be launched in both naked and fully-faired (SF) variants with likely colour schemes - white, black and MotoGP Blue. The company will need to understand the Indian market properly and pricing the bike will be a crucial factor in determining the success of the bike. We are anticipating a price tag of Rs 3 lakh to Rs 3.5 lakh (ex-showroom, Delhi). Suzuki might launch the Gixxer 250 by April 2019. Once launched, it will compete against the likes of the Yamaha R3, the Kawasaki Ninja 300, and the upcoming Benelli Tornado 302R.